CARBONDALE – Nancy Hoffman, 82, of Carbondale, passed away on Sunday, March 31, 2019 at Memorial Hospital of Carbondale. Nancy was born in Quakertown, PA on February 27, 1937 to Paul and Nina (Kressler) Hoffman. Nancy graduated from Carbondale Community High School followed by graduation with high honors from Southern Illinois University at Carbondale with a Bachelor and Master degrees. She was a teacher most of her adult working life. First at Carbondale District 95 for 20 years and then in the off campus programs of the college of technical careers at SIUC, teaching men and women in the military. 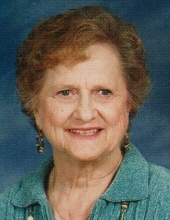 Nancy was a long time member of First United Methodist Church of Carbondale. She is survived by her nephew, Jeffrey Hoffman; great nephew, Brandon Hoffman; and brother-in-law, Richard Kipping. Preceding her in death are her parents; brother, Paul Hoffman in 2004; and sister, Patricia Kipping on February 29, 2016. Funeral services will be 12 p.m. on Friday, April 5, 2019 at Meredith Funeral Home in Carbondale with Rev. Alan Rhein officiating. Burial will follow in Pleasant Grove Memorial Park, Murphysboro. Visitation will be 10 a.m. until service time at the funeral home on Friday. Memorials may be made to First United Methodist Church of Carbondale and will be accepted at the funeral home. To send flowers or a remembrance gift to the family of Nancy Hoffman, please visit our Tribute Store. "Email Address" would like to share the life celebration of Nancy Hoffman. Click on the "link" to go to share a favorite memory or leave a condolence message for the family.